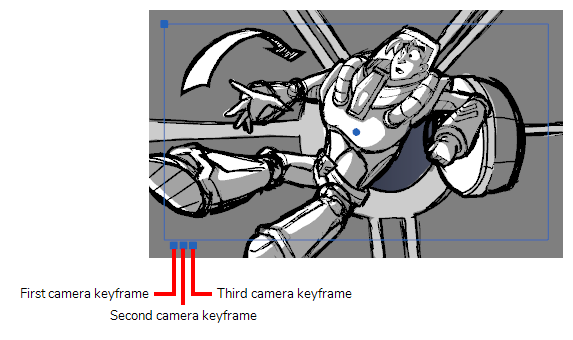 NOTE This section shows you how to set up a 2D Camera movement. When using the Camera in 3D space, new manipulators become available—see About 3D Objects to learn more about 3D camera moves and framing your 3D scene. NOTE When manipulating the Camera, you can enable the Camera Label option in the Stage view status bar to display a letter in the corner of each camera frame, indicating their order in the camera movement.